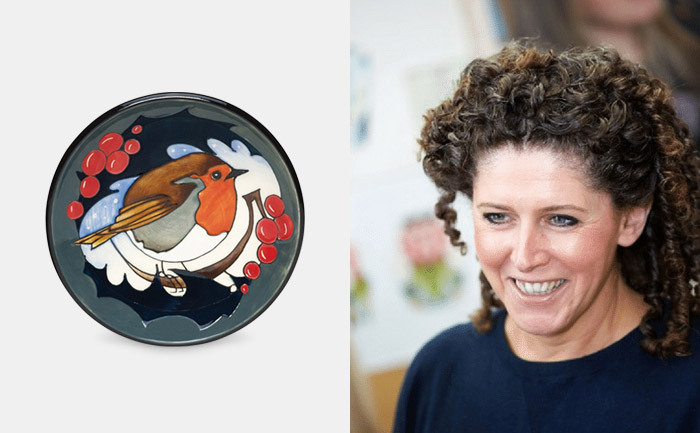 Join us on Saturday 1st December for our special Christmas event with Moorcroft designer Kerry Goodwin. Kerry will be in the gallery, from 11am to 2pm, showcasing her new Christmas-inspired pieces Home For Christmas and Journey Home alongside the glorious mini collection, Twelve Days of Christmas, with its co-ordinated plate. Collectors will have the rare opportunity to view the newly released Winter 2018 collection in its entirety. On the day we will be offering collectors the opportunity to win Kerry’s mesmerising Black Cap plaque (RRP £245). Anyone who buys a piece of Moorcroft at the event will also receive a £25 voucher redeemable at Treeby & Bolton at the time of their next Moorcroft purchase. We will also be offering gift-wrapping for all Moorcroft purchases on the day. This event was posted in Moorcroft Events, The Gallery by Libbie Graham. Bookmark the permalink.